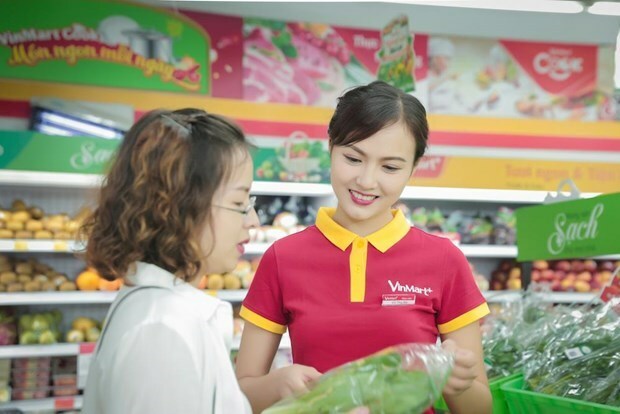 HCM City (VNA) – VinCommerce, a subsidiary of real estate and retail giant Vingroup, announced on April 2 that it will receive the transfer of 87 Shop&Go stores at the price of 1 USD. The chain of Shop&Go convenient stores is a brand from Singapore, owned by Shop&Go JSC. Its first store ran in Vietnam in 2006, selling mainly consumer goods, fast food and beverages, among others. The commercial transaction, the most unprecedented in the history of Vietnam’s retail industry, was initially proposed by the owner of Shop&Go. Accordingly, the Shop&Go JSC actively proposed to cede 70 operating convenience stores in Ho Chi Minh City and 17 others in Hanoi to VinCommerce at the price of 1 USD. Representatives from Shop&Go JSC said the firm invested heavily in its convenience stores but that the business results were not as expected due to fierce competition in the Vietnamese retail market. After the merge, Shop&Go stores will be upgraded in all aspects from infrastructure facilities, goods, staff, as well as management mechanisms in line with the standards of the VinMart and VinMart supermarket system.